We've been pretty quiet lately. It's been a very distracting year for us, what with some major storm damage to our house in December of 2015 which resulted in the demolition of a garage and sun-porch, and a major (and troubled) construction project to replace that space with a new, two-story, multi-use building that will serve as shop, studio, storage building, and typing hide-away. It should have been done in July or August of 2016, but due to some snafus with the city, I am, as I type this, waiting for the inspector to come by and make the final structural inspection of the building. There's still a bit of work to do, but if we can pass that inspection, we'll be on the final lap to finishing it and moving in! Hurrah! During the chaos, our writing and publishing projects mostly got back-burnered, but we're ramping back up, and we do have a smattering of news to announce. 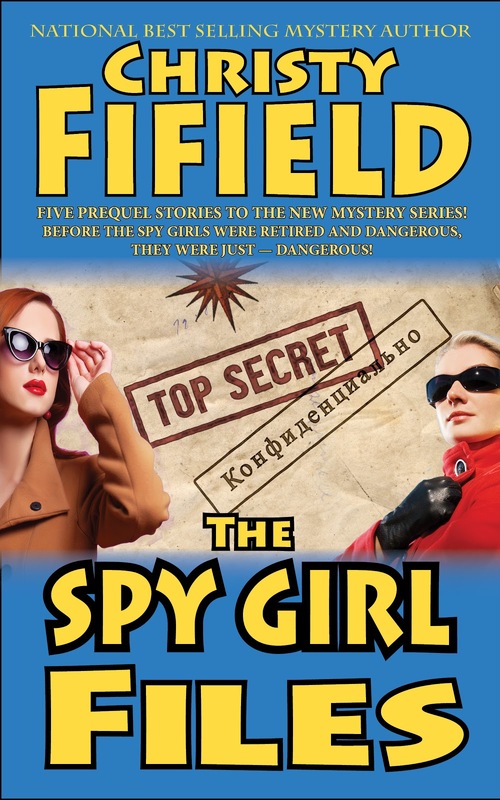 Most exciting to me is that Chris (writing as Christy Fifield, as she will for most or all of her new work), is cranking up a new period mystery series called "Spy Girls." It's set in an adults-only condo complex in southern California during the swinging 70s. The premise is that a pair of inconspicuous older ladies bond over shady goings on in their community, learning in the process that they share a history in intelligence work in WWII and the Cold War. People may take them for granted, but these two seniors have a very particular set of skills, and they aren't afraid to apply them to criminal activity, crooked condo-developers, and of course, murder! It should be great fun. But while developing the novel series, Chris has been writing a series of stories featuring the individual adventures of her two protagonists while they were still spies. Be it bringing down Nazi saboteurs on the WWII home front or chasing spies in Monaco, these two have quite a history. 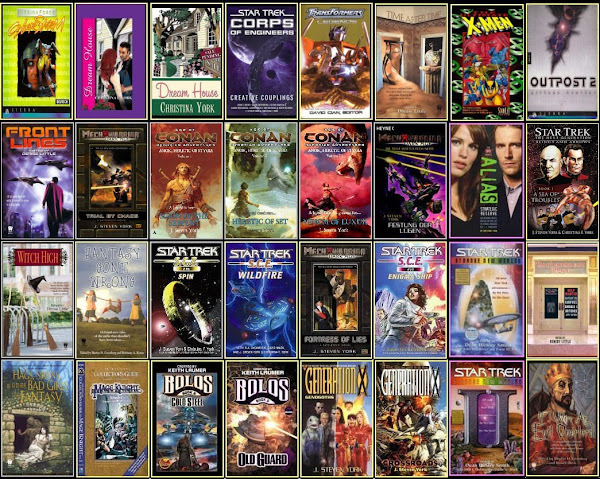 Tsunami Ridge Publishing will be collecting the first five stories, along with all new essays by Chris putting the stories in historical context and filling in the background. Look for details soon (cover shown is preliminary). 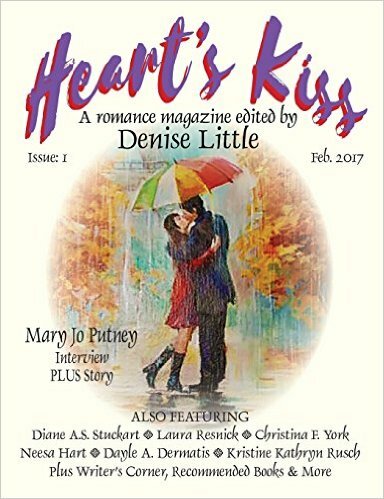 Both of us also have short fiction publications coming up in a new bi-monthly romance magazine called "Heart's Kiss," edited by Denise Little. The first issue, with one of Chris' stories, is out now, and I have two stories in the pipeline for future issues. Chris has published romance novels before, (See her books "Dream House" and "Loaves and Kisses," both written as Christina F. York) but this is a new experience for me. Certainly the stories I've sold them aren't typical romance (There are super-heroes, and magic cocktail monkeys! ), but Denise, the editor, thinks they fit, so who am I to argue? In any case, I do have a tendency to write from the heart, so maybe it isn't as unlikely as it seems to me. The first issue is available on Amazon in paper and ebook, so if you like love stories and romance, you really should check it out! Finally, our most unusual project by far: My weekly web-comic, "Minions at Work," is currently in "cold open mode," with a big reboot storyline and full-on launch once this danged building is finished. I started doing "Minions at Work" cartoons on the web back in 2006, years before those annoying yellow guys came along. It's a comic about the work-a-day adventures of the Minions of Evil serving a rotating cast of incompetent Evil Overlords. Sooner or later, we all end up working for the Forces of Evil, be it McDonalds, Wal-Mart, Volkswagen, the DMV, or an insecure lizard-man hatching his schemes in a hollow volcano. 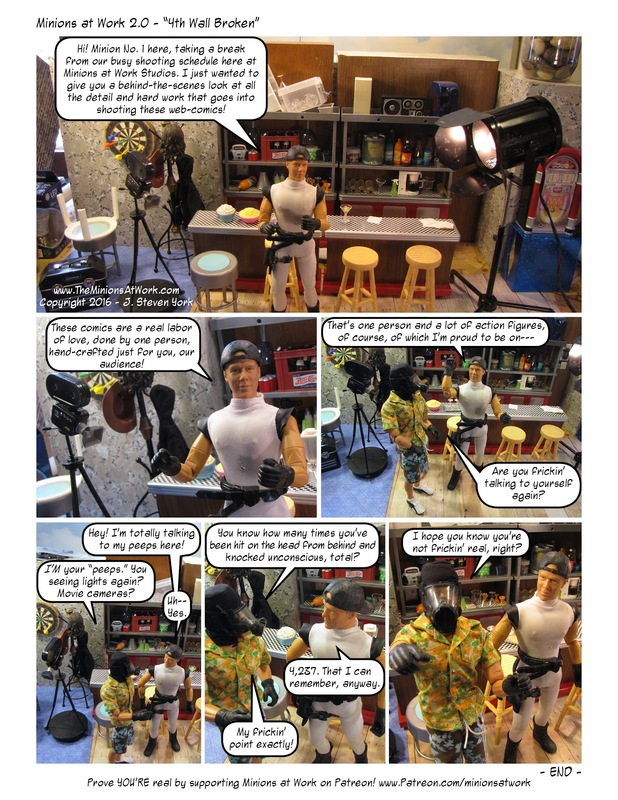 Oh, and the comic is photo-illustrated using action figures with miniature sets and props, so we can be just exactly UNLIKE all the other web-comics! 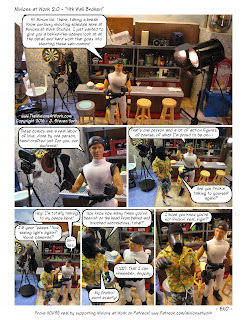 Our original comics, which ran 2006-2012 were rather modest single-panel offerings shots on a two-foot square space on my workbench, but our new cartoons are upping the ante, with bigger-multi-panel, and sometimes serialized, stories. With the full launch, I'm also planning bigger, better, sets, props, and photography. Check out the new website at www.TheMinionsAtWork.com, where you'll find hundreds of cartoons, old and new, and can check out our weekly new adventures. Thank you for current books review! 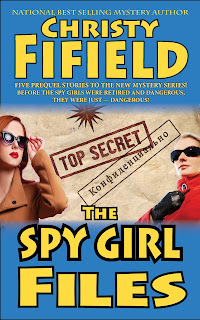 I like books about spies and especially about female spies. I read a lot of books and now I need pay someone to do my dissertation . I think that the plot of this boo is very breathtaking and interesting. I think that I won't be very interested in other books from the list.